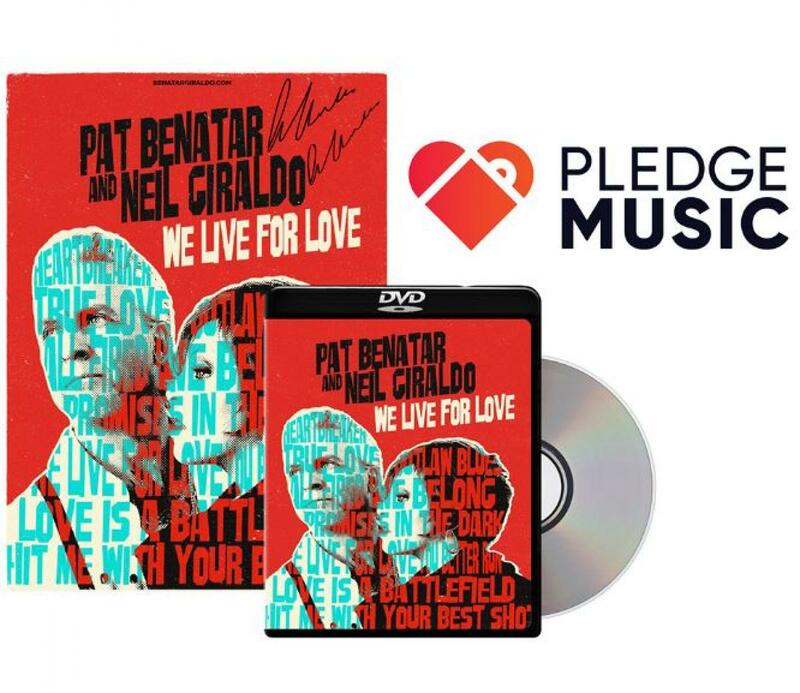 ORDER NEW "WE LIVE FOR LOVE" DVD TODAY - SHIPPING NOW! We’re partnering with PledgeMusic to bring you an acoustic collection of your favorite songs. We’ve stripped down the biggest hits, including, “Promises in the Dark”, “We Live For Love”, “Love Is A Battlefield”, “Hit me with Your Best Shot” and “We Belong”. Now is your chance to order the DVD release of We Live For Love – recorded live at RED Studios in Hollywood, CA. Order the new DVD “We Live For Love” on PledgeMusic and be the first to experience the Duo Show in an intimate setting and hear the stories behind the music. You’ll receive a digital download of the Duo performance before the public does. PLUS…bundle options are available including a limited edition, autographed poster. Thanks for joining us here on PledgeMusic…..Wishing you and yours a wonderful holiday season!